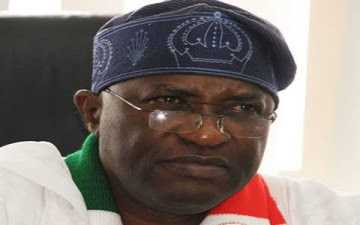 Angry workers of the Peoples Democratic Party have accused the members of the National Working Committee of the party of squandering N12bn in nine months. The workers claim that N11bn was realised from the sale of nomination forms while N1bn was gotten from the sale of delegates forms. They alleged that the money was squandered shortly after the sale of the forms began on October 27, 2014 till date. The workers said this in their response to the letter sent to them by the party’s National Secretary, Prof. Wale Oladipo, on Wednesday. Oladipo, in the letter, informed workers about the decision of the NWC to reduce the party’s workforce by 50% and to also cut the salaries of those to be retained by the same percentage. However, after a meeting in Abuja on Thursday, the workers sent a reply to Oladipo yesterday titled, “Re: Organisation and Restructuring of staff at the national secretariat of the Peoples Democratic Party.” They sent copies of the letter, which was exclusively obtained by Punch, to former President Goodluck Jonathan and the acting Chairman, Board of Trustees of the party, Alhaji Haliru Bello. Copies were also sent to the Deputy Senate President, Ike Ekweremadu, PDP caucuses in both the Senate and the House of Representatives, Chairman, PDP Governors’ Forum, Dr. Segun Mimiko and all the PDP governors. Besides querying how the N11bn was spent, the workers also said they were aware that the party realised another N1bn in sales of delegates forms recently. With this, the angry workers wondered how the party that was in power could be in a financial crisis. “While we appreciate the fact that the party is no longer in power, we are equally aware that the party realised over eleven billion naira (N11,000,000,000) in income from the sale of nomination and expression of interest forms in the last quarter of 2014. “We have also observed from publications in the media that the NWC shared outrageous largesse among themselves immediately after the party’s loss in the last general elections. “We are appalled by the whimsical and derisory nature of the circular which unfortunately negates all known administrative procedures. We wish to recall that the national secretary, who is statutorily in charge of the administration of the secretariat, has never called for a staff meeting or held any interactive session with the staff since his privileged appointment. The workers said they welcomed the decision of the NWC members to reduce their personal staff and also reduce their emoluments. But they said they rejected “the directives for staff members to get revalidation letters from the state chapters as this act will amount to accepting our unlawful disengagement from service. They said they still have unwavering belief in the possibility of the party bouncing back, and, therefore, urged the NWC to have the same faith. The workers reminded the NWC members that the establishment staff of the PDP national secretariat were engaged on the basis of a well-articulated establishment manual that expressly stated the conditions of service therein.